A recession is "a period of falling economic activity spread across the economy, lasting more than a few months." That's the official definition from the National Bureau of Economic Research. The NBER is the private non-profit that announces when recessions start and stop. It is the national source for measuring the stages of the business cycle. The NBER measures five factors to define when a recession is occurring. These are the indicators to watch if you want to know when the economy is in a recession. The most important indicator is the real GDP. That measures U.S. economic output as measured by gross domestic product. That's everything produced by businesses and individuals in the United States. It's called real because the effects of inflation are stripped out. When the real GDP growth rate turns negative, it could be a recession. Sometimes growth will be negative then turn positive in the next quarter. Other times the Bureau of Economic Analysis might revise the GDP estimate in its next report. It's difficult to determine if you're in a recession based on GDP alone. That's why the NBER measures the following monthly statistics. These give a timelier estimate of economic growth. Real income measures personal income adjusted for inflation. Transfer payments, such as Social Security and welfare payments, are also removed. When real income declines, that reduces consumer purchases and demand. Employment as measured by the monthly jobs report. Here's an analysis of the current jobs statistics. The health of the manufacturing sector, as measured by the Industrial Production Report. Manufacturing and wholesale-retail sales adjusted for inflation. The NBER also looks at monthly estimates of GDP provided by Macroeconomic Advisers. Note that the stock market is NOT an indicator of a recession. Stock prices reflect anticipated earnings of public companies. Investors' expectations are sometimes too optimistic and sometimes too pessimistic. This makes the stock market more volatile than the economy. When there is a recession, the stock market enters a bear market or one that is indicated by a 20 percent decline. The reverse is not often true. A stock market crash can easily cause a recession because this happens when a large number of investors lose confidence in the economy. The NBER uses the skill, judgment, and expertise of its commissioners to determine whether the country is in a recession. That way, it isn't boxed in by numbers. It can use monthly data to determine when a peak has occurred and when the economy has just started to decline. That allows it to be more precise and timely in its measurements. Why trust the NBER? It's the official arbiter of economic expansions and contractions. National economics thought leaders, including Nobel Prize winners, make up its Board. It has more than 1,300 economics and business professors who do its research. Decline in real gross national product for two consecutive quarters. A 1.5 percent decline in real GNP. Decline in manufacturing over a six-month period. A 1.5 percent decline in non-farm payroll employment. A reduction in jobs in more than 75 percent of industries for six months or more. 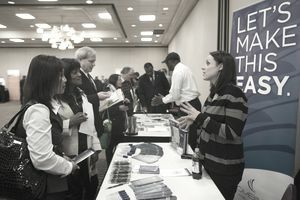 A two-point rise in unemployment to a level of at least six percent. Commissioner Shisken suggested this quantitative definition because many people weren't sure if the country was in a recession in 1974. That's because it was suffering from stagflation. Although GDP was negative, prices hadn't fallen. That was because of Nixon's economic policies, which mainly took the United States off of the gold standard. That, along with wage/price controls, created double-digit inflation. A clearer picture of these economic events over time may be seen by looking at the nation’s GDP by year. The NBER declared the Great Recession over as of the third quarter of 2009. It was the worst recession since the Great Depression, with five quarters of economic contraction, four of them consecutive, in 2008 and 2009. It was also the longest, lasting for 18 months. The NBER said the 2001 recession lasted from March 2001 to November 2001 even though GDP growth was negative for only one full quarter during that period.